The fundamental difference of this product compared to the previous series (PIXMA E500) is a facsimile function. In addition, the PIXMA E600 also has a more superior performance. Canon PIXMA E600 is a variant of the previous Multifunctional PIXMA E500. In addition to the physical form, the PIXMA E600 fundamental differences from the previous version lies in its facsimile function, which is not owned PIXMA E500. However, in general, it offers both similar specs. Naming Ink Efficient confirms the claimed ink usage more efficient than the ordinary type. It’s just that the efficiency is just passed in black ink only. 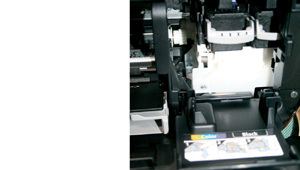 This is because the ink is able to print up to 800 pages without compromising quality. 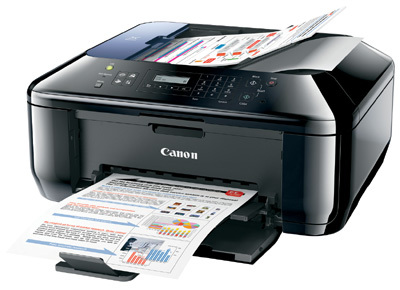 Capitalize two ink tanks, you can print a variety of documents including photographs. For easy photo printing, included applications that provide some templates to make photo more interesting. 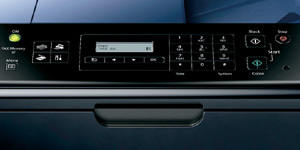 Direct print function is also possible via the use of buttons on panel. Still just copy and fax functions are actually possible without computer help. Scanning function still needs help application because the results will be sent to the computer. Existence of ADF facility are helpful to facilitate the scan and copy functions per page documents. Compared with “his brother”, this E600 Pixma appear more hurried. The results of all printing tests that performed, can be passed well. We try to print color photos using best choice with size 4×6 inches. As a result, the process is able to be taken within 1 minute 45 seconds. The prints photographs showing the color tends to be more concentrated with the dominant color more reddish than the original file. But overall results relatively quite good. The function of the stop button is responsive. If you want to cancel the print command, this button will work a few seconds later. Facsimile function only provides standard features but quite adequate for a SOHO or home users. Memory fax facilities capable of accommodating up to 50 fax pages. This device is a product of all-in-one suitable for home and SOHO users. Although not many facilities, these devices are suitable for them. The existence of ink usage efficient solution can be main attraction, especially in the midst of economic situation that growing uncertainty at this time. 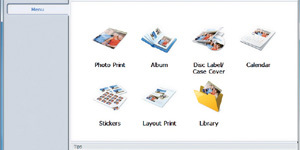 Easy Photo Print app provides a convenience to print photographs in all media. In fact you will be able to print on the cover and a CD / DVD. Ink Efficient feature only applies to the black ink cartridge. These inks able to print up to 800 sheet document with consistent quality. As a provider of information, used only monochrome text-based display two lines. Plus: Hurry; ink-saving feature; combination FINE technology and ChromaLife 100 + to produce long lasting photo prints; fine; cancel hurried response, efficient power (only 14 watts); ADF features can scan, fax, and copy. Minus: Vibration loudly; the images tend to be concentrated and red; Ink Efficient feature only applies to black ink only. Does Your Freezer Need to Be Repaired?